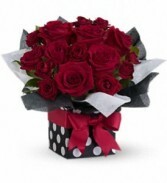 This forever rose that os a natural touch rose, looks & feels like a real rose. 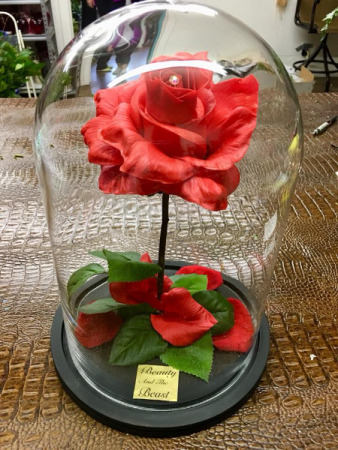 It is a replica of the rose given in the famous movie Beauty & The Beast. 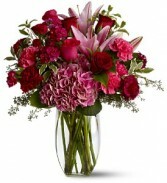 It's a very popular design the ladies love to receive. It's the gift they can keep enjoying for years to come. 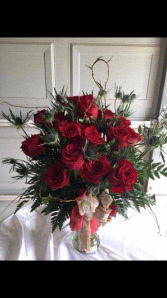 This dozen of long stems red roses also includes, Texas thistle, a native flower of the great Lonestar state.